Randy Cooper has had many jobs and careers, ranging from lumberjack in the woods of the Pacific Northwest to serving as a special education teacher, from an operator at a Westinghouse plant to a developer and teacher of the Total Quality Management program at two of their facilities. As an artist, he credits his attention to detail to this latter experience at Westinghouse. Randy’s mother was a master carver of birds and gunstocks, and one of his sisters is an accomplished painter, sculptor, and author. It wasn’t until Randy was nearly 50 that he discovered his own penchant for art. His first experience with art education was taking a 6-week course with sculptor Wren Prather-Stroud. He also attended a week-long course with Tuck Langland at the Scottsdale Artists’ School. After working successfully in clays, artificial stone, and bronzes, Randy discovered wire mesh, which soon became his medium. 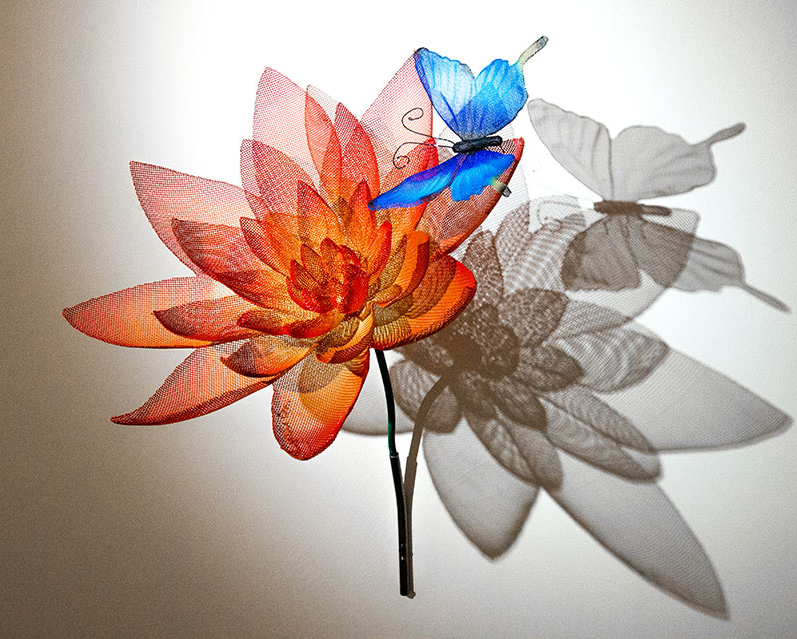 He began creating intriguing and magical sculptures in wire mesh and has developed all of the techniques that he uses in making his “Shadow Sculptures” on his own. Sometimes the shadows seem to show more detail than the original sculpture and instill a feeling of magic into the creation.